A Townie shares what he’s discovered over more than 11 years in practice, and how it could improve how you work. The arbitrary 10-year time interval tends to make us look back on our lives and reflect. That look back may be a 10-year wedding anniversary, a 20-year military retirement, or maybe owning a business for 30 years. Well, for my dental hygiene career, my look-back moment happened at 11 years. (Close enough.) One of the questions that popped in my head during that reflection was, “What real world advice would I give a new grad?” Here are the big five that came to mind. I’m not sure why this happened. Maybe it’s because we focused so much on hand scaling in hygiene school. Maybe my suction skills with ultrasonic scaling were subpar at the time. Or maybe hand scaling just seemed less intense in my mind for the patient. I’m not really sure, but it was probably a combination of all three. 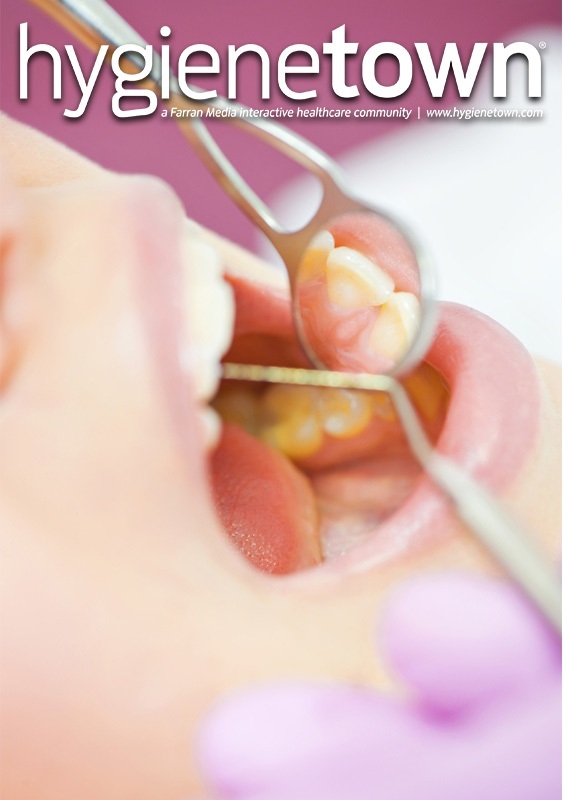 Lesson: Most of your scaling should be done with an ultrasonic scaler—at least 80–90%. It’s good for you and it’s good for the patient. In the beginning of my career, whenever I sensed any sign of discomfort coming from the patient, I’d immediately react and adjust what I was doing. Of course, that adjustment would more often than not increase my discomfort! And here’s the real kicker: 90% of the time, the patients’ discomfort remained pretty much the same. This was often the case when switching from ultrasonic scaling to hand scaling. Dentistry is hard on our bodies. We’re in the trenches 8 hours a day, four or five days a week in many cases. Your patients are in the dental chair maybe a few hours a year. Stand your ground and minimize any adjustments that increase your discomfort. Your body will thank you later. The best example for me on this one involves scaling and root planing. Think about what we actually do here for a second: literally working blindly (at least 50% of the time), especially in moderate to advanced perio cases, to remove biofilm and calculus. Tactile sensation is all we’ve got! Don’t short-change yourself on this one. SRP is a very difficult skill to learn; I believe it takes at least three years’ experience just to be decent at it. Don’t undervalue what you are providing to the patient! You and the office deserve the higher fee that comes with SRP, and you deserve the needed time to complete the task without having to rush. How did I undervalue SRP? I have to confess, I did my fair share of “bloody prophies.” Instead of doing 20-minute prophies, I found myself doing 25-, 30- and sometimes 35-minute prophies on mild perio cases. Don’t do it! Admit you have a problem. After a few years, reality punches us square in the face. We finally get it through our heads that most patients do not value oral health like we do—and never will. That’s the truth. Embrace it and it will set you free. Don’t get me wrong: I’m not saying we shouldn’t try to educate and persuade our patients to make the best choices, because some will. I’m just saying that most will not. So, the next time your 6-month recall patient shows up 12 months later with the same habits (barely brushes once day and does nothing else), do the best prophy you can do in 20 minutes. Whatever calculus, biofilm and stain is left, leave it. You’re not responsible for what remains, your patient is. When he returns for his next recall appointment in 15 months, rinse and repeat. The first time I saw the exact same subgingival calculus (and you can tell it’s the same) on a recall patient’s bite wing X-rays, I died a little on the inside. I was thinking, “Wow. This is embarrassing.” And unfortunately, that was not the last time that scenario would play out. Hygienists tend be perfectionists, and perfectionists tend to beat themselves up, but here’s the cold, hard truth: Studies show that we all leave calculus behind, no matter how experienced we are. Yes, all of us. In a study comparing SRP alone vs. SRP with surgical access, calculus removal was shown to be better with surgical access, but even with a flap, it was still nowhere near 100%.2 This is difficult stuff, people! But with that said, don’t take this as an excuse for you to intentionally leave calculus behind. I’m just trying to provide you a rational reason to stop beating yourself up. Well, that’s my list of mistakes. I initially wrote this with the new hygienist in mind, but halfway through I realized it was for me, too. I still make some of these mistakes every now and then; it’s a constant battle to avoid them. So I say this to all hygienists: Keep fighting to improve day by day, even with the knowledge that you’ll never be absolutely perfect. 1. Scaling and root planing: removal of calculus and subgingival organisms. Curr Opin Dent. 1991 Feb;1(1):74-80. 2. Calculus removal by scaling/root planing with and without surgical access. J Periodontol. 1987 Mar;58(3):159-63. 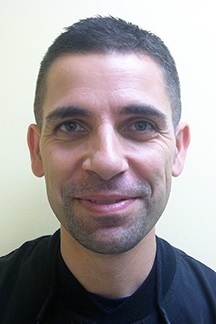 Mark Frias, RDH, graduated from the dental hygiene program at Bristol Community College in Fall River, Massachussetts, in 2007 and has worked full time in the clinical setting for more than 11 years. Frias invented the Kona Adapter kit, which has been on the market since 2011. Before entering the dental field, Frias served in the U.S. Air Force for more than a decade as an air cargo specialist and a manpower analyst. Website: MarkRDH.com.